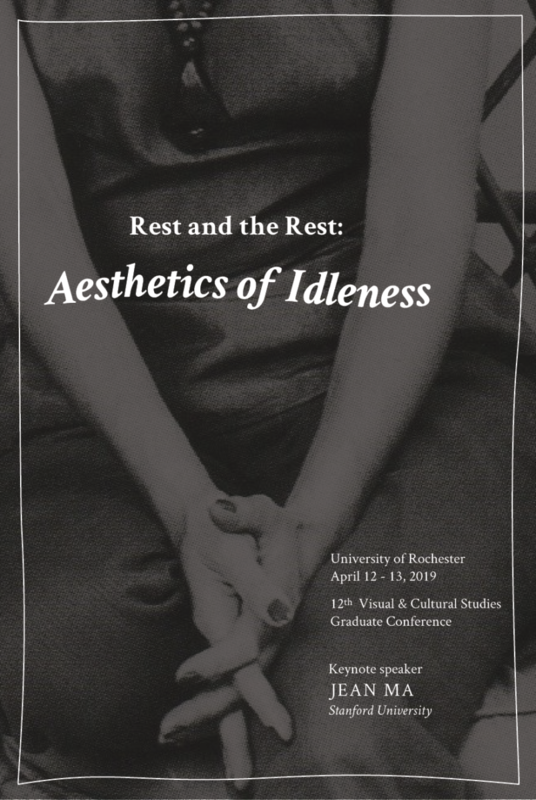 The Visual and Cultural Studies Graduate Conference is organized biennially by PhD students in Visual and Cultural Studies Program at the University of Rochester. Since the inaugural issue in 1995, the conference has brought together scholars from a variety of fields, such as film studies, museum studies, art history, and cultural anthropology, in accordance with the interdisciplinary approach of the program. This year’s conference has been generously sponsored by the Department of Art and Art History, Film and Media Studies Program, Department of Anthropology, Department of Modern Languages and Cultures, The Kearns Center, Eastman School of Music Humanities Department, Frederick Douglass Institute, Graduate Students Association, Department of History, Susan B. Anthony Institute, The Institute of Optics, and Department of English. © 2019 VCS Conference | WordPress Theme: Lontano Free by CrestaProject.